What’s the Minimum Down Payment I Need to Buy a Home? When we hear the question, “What’s the minimum down payment I need?” we usually respond with a few questions of our own. Despite your desire for a quick answer, the truth is, your minimum down payment will vary quite a bit depending on several variables and circumstances. Let’s go through them below. Where is the home located? If you’re purchasing a home in a rural area, you may qualify for a zero-down USDA loan. If you’re buying a home that needs to be rehabbed (such as an older home, foreclosure, or short sale), you might qualify for an FHA rehab loan. Is this a second home or a primary home? If this isn’t the home you’ll live in for most of the year, a conventional loan will be your only option. Different loan types have different requirements…but just because you aren’t required to put down any money with your loan type, doesn’t mean you should. Put down at least 5% if you can, and you’ll avoid lifetime mortgage insurance. Instead, you’ll only pay mortgage insurance until you pay off 20% of the loan principal through your monthly mortgage payments. You should know that FHA loans require 3.5% down, but with only 3.5%, you’ll also pay 1.75% in mortgage insurance, which is due monthly and spread over the life of the loan. So, you’re still obligated to pay that money, but not on the principal. If you can eek out an additional 1.5% upfront, THAT will go toward the principal, which will lower your monthly payments. Plus, you’ll be more likely to qualify for a conventional loan, which doesn’t require that lifetime mortgage insurance. The point is, you’re spending the money one way or another—you can choose whether to spend it now on the principal (thus more rapidly increasing your home’s equity), or spend it later on mortgage insurance. On the other hand, some type of mortgage insurance is required on any down payment less than 20%, so, in most cases, we generally recommend you don’t bother trying to come up with 10% or 15% if you can’t get all the way to 20%. You’d reduce your monthly payment only minimally and wouldn’t avoid mortgage insurance. Hang onto that money and you’ll keep thousands of dollars in your pocket—which will come in handy when you inevitably need to buy new furniture or make home repairs or updates. What Does a 20% Minimum Down Payment Accomplish? If you can put down the full 20%, you should certainly consider doing it. In addition to requiring mortgage insurance for small down payments, lenders charge more fees or offer less favorable interest rates to those putting down less than 20%. However, even when you can afford to put down 20%, you should still consider the big picture. Will it wipe out your savings? Will you still have an emergency fund? What about money to make home updates? Steady access to cash is the key to ensuring you avoid long-term high-interest debt, such as the kind of debt you’d accumulate if you relied on your credit card instead of your savings for emergencies. Do you have a bankruptcy, foreclosure, short sale, or deed-in-lieu in your history? What’s your credit score like? 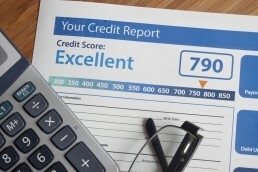 Qualifying for a conventional loan, which often offers the best terms, will require an excellent credit score and a history free of bankruptcy. If you have less than favorable credit or are otherwise seen as high risk, you’ll pay more in fees and insurance to protect the lender in case you default. Another factor to consider is the amount of money you make. USDA loans are only available to those who make a modest or low steady income. What about your history? Are you a veteran? First-time home buyer? Have you bought a home in the last few years? These factors can also affect the type of loan—and the amount of the down payment—for which you are eligible. Regardless of the type of loan you receive, remember that you’ll also need to set aside money for closing costs, which typically run between 2% and 5% of a home’s purchase price. However, many closing costs are negotiable. You may be able to roll them into the loan amount, though this would increase the monthly payments on your loan. There are myriad factors that affect the type of loan you are eligible for as well as the minimum down payment you’d be required to put down. Figuring out how much to put down on a home is often much more complex than simply plugging numbers into a calculator. That’s why we offer a consultative approach to mortgage lending. To help you get the best loan and terms for your situation, we take the time to learn about your entire financial situation, goals, and potential future expenses (such as sending a child to college). Call us today to talk about your options for your new home loan. We look forward to speaking with you! We invite you to speak with one of our commercial or residential mortgage experts about your financial and lifestyle goals. This no-obligation consultation can be held over the phone or in our Warren, NJ, office. Please tell us about the type of loan or financing you are exploring.